"A Chinese solar panel producer is claiming that the law firm representing a U.S. solar company pursuing a Section 201 safeguard petition against foreign imports of solar products has a conflict of interest in the case, which it says should be dismissed." "Suniva, which filed for Chapter 11 bankruptcy in April, wants the U.S. International Trade Commission to employ Section 201 of the Trade Act of 1974 and slap duties on imports of crystalline silicon photovoltaic cells (CSPV) and modules." 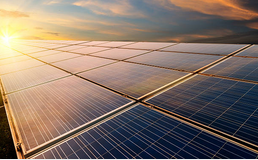 "But Wuxi Suntech Co., Ltd, in a May 14 letter to the ITC, claims that Suniva's law firm -- Mayer Brown LLP -- has a conflict of interest given its affiliation with both ‘pro and against Chinese solar PV manufacturers,’ the Chinese company said. Suntech claims to be one of the largest photovoltaic cell manufacturers and exporters to the U.S."
"'As a result of the bankruptcy reorganization of Suniva, Inc., the interests of Suniva and its shareholders are conflicted,' the letter states. 'The acting by Mayer Brown for the Chief Restructuring Offier (sic) of Suniva, Inc. clearly conflicted with the interests of its other client, Wuxi Suntech, which again has not been consented by us.'" "Suniva Inc. and Suntech are owned and controlled by the same parent entity -- Shunfeng International Clean Energy. ‘It is to our shock that Mayer Brown continued to represent the Chief Restructuring Officer of Suniva, Inc. after it had entered into bankruptcy reorganization in April 2017, and filed a petition on behalf of CRO on April 26th 2017 for safeguard relief actions that may seriously affect our capacity to continue exports to the US market,’ Shuangquan He, president of Suntech, wrote in the May 14 letter." "Mayer Brown fired back with a May 16 response to the ITC, claiming that it had been given consent to proceed with its representation of Suniva. ‘Accordingly, when Suniva, through the parent entity, asked the Firm to undertake this representation, we reminded Suniva’s parent of our work for Suntech and our need for an informed consent and waiver,’ the law firm wrote. ‘Suntech, through the parent entity, provided that informed consent waiver.’"